It may not ease the sticker shock for parents and students, but as college tuition and fees continue to creep up, the actual costs are flat — or in some cases lower — thanks to increases in grant money offered by schools. The savings, however, might not translate to more than a few extra late-night pizzas, according to an annual report on college pricing trends issued Tuesday by the College Board, which administers the SAT and the Advanced Placement program. Nationwide, the net cost for full-time students enrolled at public four-year colleges is projected to be $14,880 for tuition, fees, room and board for the 2018-19 academic year, down $30 from last year. The full price, before deducting grant aid and tax benefits, is $21,370. At private nonprofit four-year colleges, the net cost is projected to be $27,290, up $130. The published price is $48,510, with the average student getting $21,220 in grants and tax benefits, according to the report. Colleges and universities increased their grant aid for undergraduate and graduate students by 24 percent over five years, to $60 billion in 2017-18. Ma said private schools are essentially subsidizing low-income students with tuition collected from students who pay full price. Federal grants are projected to tick up slightly to $41.7 billion this year, the first increase in seven years, according to the College Board. As grants increase, student loans are declining. Students and parents borrowed $105.5 billion last year, down from $127.7 billion in inflation-adjusted dollars in 2010-11, according to the report. “There are fewer borrowers, and students are actually borrowing less when they do borrow,” Ma said. The decline in loans is related to a smaller and shifting student population, Ma said. Total postsecondary enrollment fell by more than a million students between 2010 and 2016 due to declines at community colleges and for-profit schools. Ma said the enrollment decline is a byproduct of the booming post-recession economy. “These schools tend to attract a lot of students when the labor market is not doing well,” she said. Enrollment at traditional four-year public and private colleges continues to increase, according to the report. 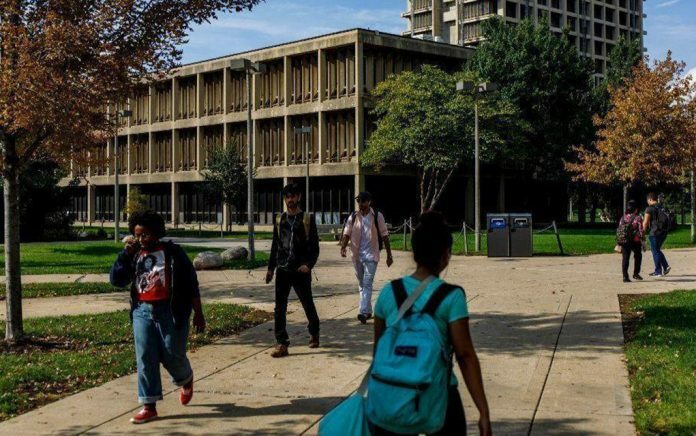 While overall enrollment at public colleges and universities grew by 1 million students between 2006 and 2016 — an 11 percent increase — the story in Illinois was not so bright. Illinois’ public colleges and universities saw a 10 percent decline in enrollment over the same 10-year period, the worst performance of any state, according to the report.